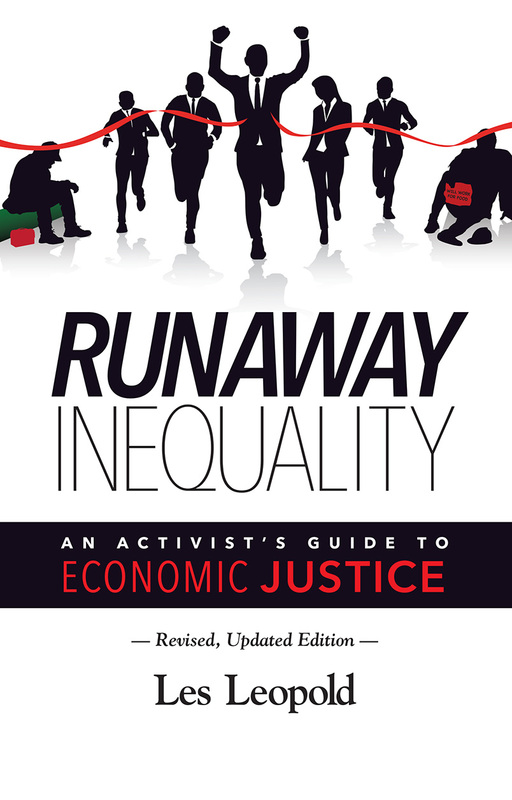 Runaway inequality is now America’s most critical economic fact of life. In 1970, the ratio of pay between the top 100 CEOs and the average worker was 45 to 1. In the current decade it is a shocking 800 to 1! During the time in between a new economic philosophy set in that cut taxes, deregulated finance, and trimmed social spending. Those policies set in motion a process that greatly expanded the power of financial interests to accelerate inequality. But how exactly does that happen? Using over 120 easy-to-understand charts and graphs, Runaway Inequality explains the process by which corporation after corporation falls victim to systematic wealth extraction by banks, private equity firms, and hedge funds. It reveals how financial strip-mining puts enormous downward pressure on jobs, wages, benefits, and working conditions, while boosting the incomes of financial elites. But Runaway Inequality does more than make sense of our economic plight. It also shows why virtually all the key issues that we face―from climate change to the exploding prison population―are intimately connected to rising economic inequality. 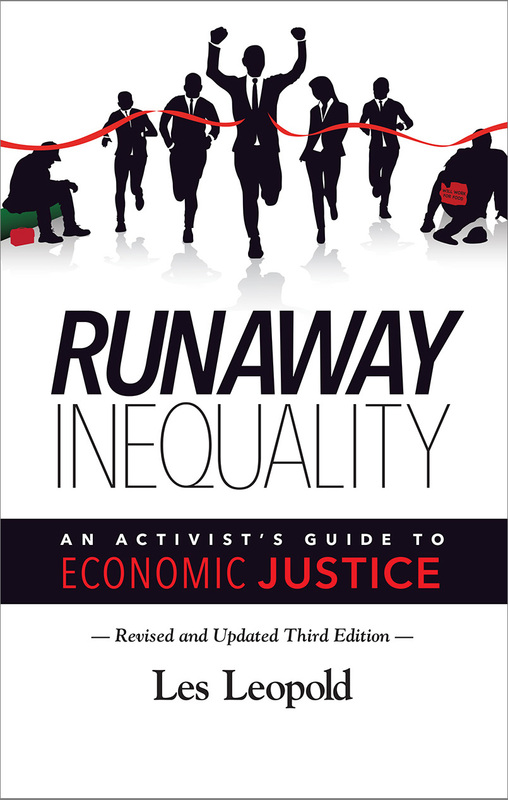 Most importantly, Runaway Inequality calls upon us to build a common movement to tackle the sources of increasing income and wealth inequality. As the author makes clear, the problem will not cure itself. It will take enormous energy and dedication to bring economic justice and fairness back to American society. Part I: What is the fundamental cause of runaway economic inequality? What has made our economy less fair and left most of us less secure? Part II: How does the United States really compare with other major developed countries? How do we stack up on quality of life, health, and well-being? Part III: What does economic inequality have to do with so many of the critical issues we face, including taxes, debt, education, criminal justice, racism, climate change, foreign trade, and war? Part IV: What concrete steps can we take to begin building a fair and just society? This revised and updated third edition includes a new preface by the author, additional information on how climate change affects and is affected by inequality, a new section on the Trump tax bill and how it will impact inequality, and over 75 charts and graphs that have been revised and updated. After graduating from Oberlin College and Princeton University's Woodrow Wilson School of Public and International Affairs (MPA 1975), Les co-founded the Labor Institute (1976), a non-profit organization that designs research and educational programs on occupational safety and health, the environment and economics for unions, worker centers and community organizations. In addition to his current book, he is the author of How to Make a Million Dollars an Hour: Why Financial Elites Get Away with Siphoning off America's Wealth (John Wiley and Sons, 2013); The Looting of America: How Wall Street's Game of Fantasy Finance Destroyed our Jobs, Pensions and Prosperity, and What We Can Do About It, (Chelsea Green Publishing, June 2009);and The Man Who Hated Work and Loved Labor: The Life and Times of Tony Mazzocchi, (Chelsea Green Publishing, June 2006), which won the Independent Publisher Award for best biography. As an expert in economic popular education methods and practices, he is currently helping to build a national runawayinequality.org national education network linking together unions, community groups and faith-based organizations. The network training hundreds of lay trainers to conduct “Reversing Runaway Inequality” workshops throughout the country. All royalties from his current book go back into this campaign.